I read this article and found it very interesting, thought it might be something for you. The article is called We’re All Free Riders. Get over It! and is located at http://evonomics.com/were-all-free-riders-get-over-it/. Anathematized and stigmatized today, free-riders built the lion’s share of the prosperity we enjoy today. Does that mean we should ‘share’ or ‘pirate’ more copyrighted things on the internet? Not necessarily. The free rider problem is real enough. If it costs vast sums to test a new drug, we can’t expect the market to do so if all that investment can be undercut by imitators. But here’s the thing. In addition to the free rider problem, which we should solve as best we can, there’s a free rider opportunity. And while we whine about the problem, the opportunity has always been far larger and its value grows with every passing day. The American economist Robert Solow demonstrated in the 1950s that nearly all of the productivity growth in history – particularly our rise from subsistence to affluence since the industrial revolution – was a result not of increasing capital investment, but of people finding better ways of working and playing, and then being copied. A little of this innovation was fostered by intellectual property rights which give temporary monopolies in technology. But much less than you’d think. Most innovation can’t be patented. And after patents expire in 20 years (it used to be less) it’s open slather. We’re not paying royalties to the estates of Matthew Bolton and James Watt for their refinements to the piston engine. But we’re still free riding on their work. In other words, free-riding made us what we are today. So let’s take a step back and address the issue of free-riding from a different perspective. If, as a society today, we had to choose between addressing the free rider problem and seizing the free rider opportunity, taking the latter option wins hands down. In fact we don’t have to choose. 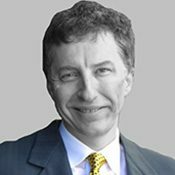 We should be doing both as best we can on their merits in individual situations, but it’s a reflection of our mercantilist culture that the “free rider problem” is both a household expression and an endlessly stoked social anxiety whereas the “free rider opportunity” is so unfamiliar that it sounds deeply counterintuitive – subversive even. Far from wanting to ignore the free rider problem, Jefferson was on top of that too, spearheading the institutionalization of intellectual property. But having done so, throughout his life, including in his administration of patents, he sought balance between dealing with the problems and seizing the opportunities presented by free riding. He supported relatively narrow interpretations of patent monopolies around specific applications of technologies to preserve the freedom to copy in divergent fields. As his words above suggest, Jefferson understood that sharing knowledge spread both prosperity and wisdom from innovators to the whole of humanity and had done so from time immemorial. But there’s also a sense in which he saw the opportunities growing progressively larger and more exciting as we move into the information age. Jefferson was fresh from the rise of blogging – then known as pamphleteering – in which disputants argued back and forth in as close to ‘real-time’ as the printing presses would permit. Though rarely (if ever) remarked upon, free riding problems and opportunities lie at the heart of public goods. Theorised initially in 1954 by Paul Samuelson as goods that are “joint in consumption”, the idea is implicit in Vincent and Elinor Ostrom’s quadrant in 1977. 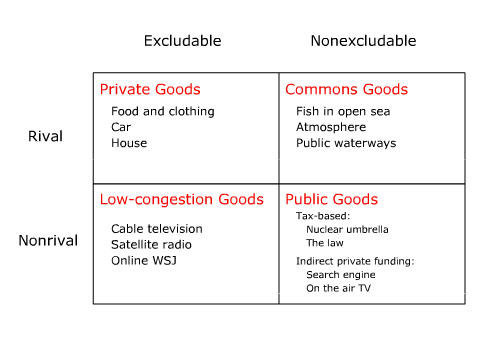 In economic jargon, public goods are both non-excludable and non-rival. For example, Wikipedia currently offers fireworks displays as an example of a public good – at least over a localized area. Everyone can see them – so they are non-excludable. And one person’s enjoyment does not hinder another’s – so they are non-rival. And guess which side of this polarity the dismal science orients itself around? As the Ostroms explained in their article: “Public goods . . . present serious problems in human organisation”. This provides some insight as to why our friends from the intellectual property lobby have so much more success appealing to the public’s anxieties about the free rider problem than more moderate voices arguing, as Jefferson did, for strict limits on those rights to minimise the extent to which they obstruct free rider opportunities. As I indicated above, we can usually deal with both the free rider problem and opportunities very satisfactorily on their merits. But the new value creation of the 21st Century shows us that sometimes we have to choose. And it shows how to choose if there’s any serious doubt. Imagine you have some service to offer on the web. It’s a service that people will value greatly and as they benefit from it they’ll make their own contributions to the service. You can solve the free rider problem by supplying the service behind a paywall. So you’ll minimise the extent to which people free ride on your great new service. If people really like it they’ll be prepared to pay good money. But, but, but but .… a paywall would hit audience numbers hugely, which degrades the extent to which the site can be monetized by advertising and the contributions of the users. So solving the free rider problem hugely degrades the free rider opportunity. And so it is that a vast portion of the new value that’s been built on the net has come to this fork in the road – and plumped for opportunity. Thus Google generates many hundreds of billions of dollars every year but monetizes only a small fraction of that value. But $60 billion per annum is enough to make its founders rich beyond their wildest dreams. Ditto Facebook, Twitter and any number of other services. This formula of embracing the free rider opportunity is apparent not just in for profit ventures but in philanthropic ventures such as Wikipedia and the Internet Archive both of which could charge for their services, but only at the cost of massively degrading their mission. 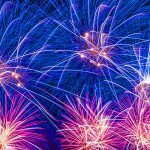 Though the illustrative examples of public goods in economic textbooks are reassuringly worthy – like military defense and public infrastructure – Wikipedia’s more festive image of fireworks radiating out from a city skyscraper better celebrates Jefferson’s dream of sharing human knowledge in its unfolding abundance. And there’s much more to be said about the future of public goods. But before we can do it we have to go right back the last economist to fully appreciate the indispensable role public goods play at every level of our lives and have done so since our rise from our origins on the African Savannah. And the last economist to do that was the first economist –Scottish moral philosopher Adam Smith.